With gamescom kicked squarely in the arse (well, either that or it’s stopped kicking me in the face… these concepts are easily confused), I’ve got enough time for a few quick updates. I’ll drip feed them in the shallow pretence that it’ll make the site look a little less sparse in the busy coming weeks. Hurrah! So, the script to Stolen – a story set in the Unseen Shadows universe – is done, and the Unseen Shadows creator and novelist, Barry Nugent, is happy with it, which in turn makes me very happy. 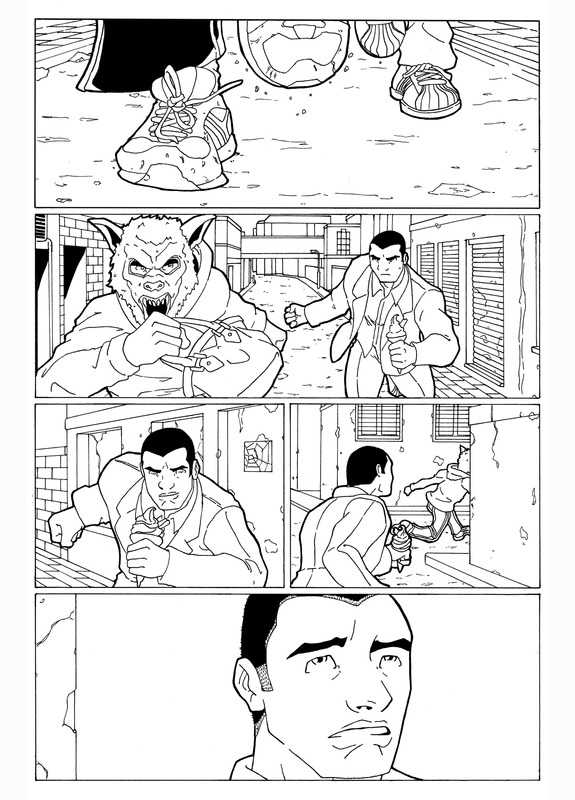 And the wonderfully talented Cormac Hughes is currently working hard on transforming the script into something visual and pretty that will look much nicer on the page than my black-ink-on-white-paper ramblings.